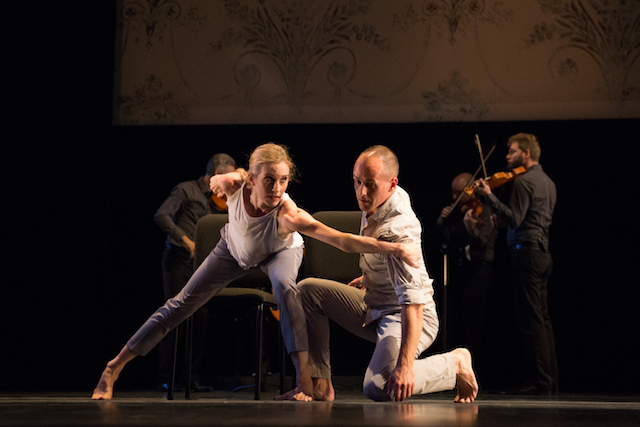 (BECKET, Mass., July 29, 2016) – There was no doubt about it – while choreographer/dancer Brian Brooks and hot young string quartet Brooklyn Rider are stars in their own right, it was Wendy Whelan’s night to shine in “Some of a Thousand Words,” running at Jacob’s Pillow this weekend. Putting her 30-year career as a dancer with New York City Ballet behind her – 23 of those as the troupe’s principal ballerina – the 49-year-old Whelan is making the transformation into one of the most startling performers in contemporary dance. Her form, technique, and musculature-defying movement instantly give her a unique signature as a dancer, and this ability to do things that no one else can do open new possibilities in choreography. Brian Brooks, as co-dancer and co-choreographer, makes the most of this in the evening-length, four-movement work, which included solos and duets, all performed to live music by the onstage string quartet, Brooklyn Rider. Just as the music adhered to contemporary minimalism – the final piece an excerpt from Philip Glass’s score for “Mishima” – so too did the dance follow key strategies of the music: easily identifiable repetitive movements that formed patterns while changing slightly over time, building complexity with the introduction of additional elements, with the dancers providing an essential vocabulary that spoke as much to their differences as their similarities. Where Brooks was roundish, gentle, and weighty, rooted to the floor, Whelan was lean, linear, and almost freakish in her combination of control and fluidity. 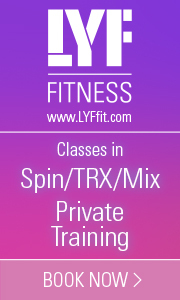 In her solo that began the program, her arm extensions were all over the place, in the air and around her back, recalling movie images of extraterrestrials with limbs long and extensive and beyond human proportion. That’s Whelan for you – an alien and a biomorph, but a creature of superhuman beauty. When Brooks joined with her, the two became vessels united by an energy force that flowed through their bodies with electric ease. Whelan found herself standing on a chair, only to tip over sideways with nary a bend in her taut vertical line, only to be caught by Brooks, who would move the chair to another part of the stage and have the movements be repeated. The program was danced on a mostly bare stage, with the back, barn-like wall exposed except for a patterned white scrim that hung halfway down from the rafters. 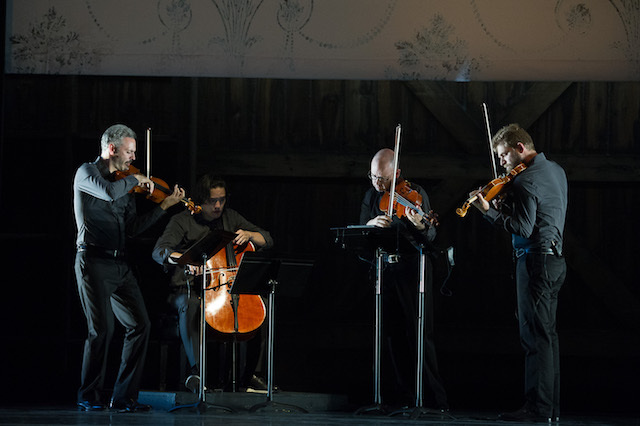 The members of Brooklyn Rider – violist Nicholas Cords, violinist Johnny Gandelsman, violinist Colin Jacobsen, cellist Michael Nicolas – performed works composed by Jacob Cooper, Colin Jacobsen (a member of the quartet), John Luther Adams, Tyondai Braxton, and the aforementioned Philip Glass, with the aplomb of the dancers. Moments when music and dance merged raised the question of how much one owed to the other, but overall, the question remained – where is this marvelous collaboration, and where is Wendy Whelan, going?